In this series of guest posts, three choreographers from CityDance talk about the artwork that inspired their movement for this Thursday’s Angels, Demons, and Savages-inspired Valentine’s Day Dance Experience (UPDATE: this program is sold out). Read Lorraine Spiegler on Alfonso Ossorio’s The Helpful Angels here and Christopher K. Morgan on Jackson Pollock’s Untitled (1951) here. 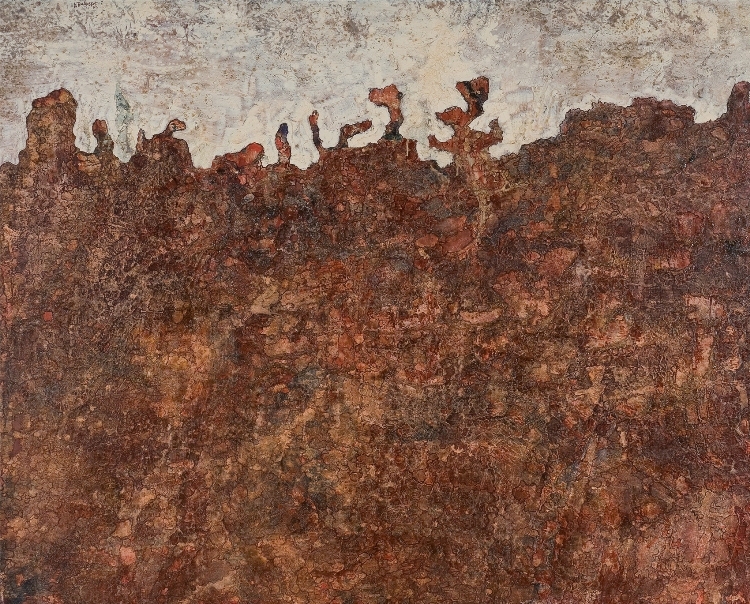 Today, Robert J. Priore discusses Jean Dubuffet’s Paysage Metapsychique (Metapsychical Landscape), 1952. When I think of savages (the name of my piece), I think earthy. I think of movement that is very natural, the dancers are always making actual contact. It’s not contrived partnering; they are connecting with the earth, with themselves, and with each other in a real and raw way. This entry was posted in Exhibitions and tagged choreography, CityDance, Jean Dubuffet. Bookmark the permalink.